We are into the season of giving, but for some dishonest scammers, it is a season for taking. Older adults are targeted more often because they answer their home phones, they have more cash available and the services scammers purportedly offer are more often the services older adults may want. Older adults may be more trusting as well. So, if you are a caregiver to an older loved one, here are some of the scams you should alert your loved one to and be on the lookout yourself: •	Great Investments - If there is one thing that older adults fear more than losing their mental faculties, it likely is running out of money. They may have made solid investments in safe securities, but they may be easy prey for someone calling to let them in "on a limited time offer." It may not be huge investment, but it promises a hefty return. Just remember, if it seems too good to be true, it most often is. •	Cheaper Medications - With the changes of the Affordable Care Act, older adults will have the chance to save more money on their expensive prescriptions, but the allure of cheaper meds offshore is still present on the internet. Make sure that the pharmacies making the offer are legitimate - and many are - but ask for substantial verification before ordering scrips; your loved one's primary care physician may be of help. •	Fake Charities - This is another one where you want to verify the legitimacy of the cause. Especially on the heels of the tornado disasters recently, there may be callers posing as agents to get money to victims of disasters. Verify! The IRS posts lists of tax exempt charities on its web site, and there is another great site called Charity Navigator (http://www.charitynavigator.org/). •	Pleas for Help - What grandparent does not have a soft spot for their grandchildren? Scammers can call older adults with just enough information to appear as one of the grandchildren in some kind of trouble that requires an immediate cash transfer. 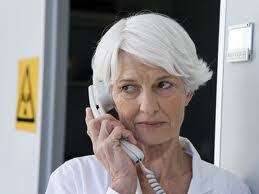 Caution your older loved one not to respond to calls from "their favorite grandchild" that offer no identifying name. Verify! •	Bad Checks - If your older loved one is selling anything on-line, beware of the scammer who just happens to have a cashier's check that is for an amount much greater than the purchase price. They will ask if the excess can be wired to them along with transfer of the item. This is the part where the original check turns out to be bogus, so your loved one is out the sale item and the cash difference. All of these are just some of the examples that have played out in holidays past, but be prepared for the next new scam. And know that it will be too good to be true. Charlotte Bishop is a Geriatric Care Manager and founder of Creative Care Management, certified professionals who are geriatric advocates, resources, counselors and friends to older adults and their families in metropolitan Chicago. Please email your questions to info@creativecaremanagement.com. Since our bodies process liquor differently as we get older, reconsider what may have been a healthful or safe amount of consumption in younger years. Carefully assess what medications are going to be mixing with the alcohol…does the alcohol dilute the health effect, amplify the side effects – allergy and sleeping meds are a real issue? Alcohol is not a one and done; it can have a cumulative negative effect on the immune system, the brain, heart, bones, digestive system and the senses. Alcohol makes a person sleepy, but it is a real sleep disrupter; “night caps” are a myth. Alcohol can create socially-disturbing situations; no one ever regretted saying something because they drank too little. By all means, wait for the next study. Note who has sponsored it, who the study subjects were and how long term they studied the subjects. And take note of how healthy the subjects were so that you can be as fit on all dimensions in order to consider if you want to be moderate on others. Charlotte Bishop is an Aging Life Care Advisor, Geriatric Care Manager and founder of Creative Care Management, certified professionals who are geriatric advocates, resources, counselors and friends to older adults and their families in metropolitan Chicago. She also is the co-author of How Do I Know You? A Caregiver’s Lifesaver for Dealing with Dementia. Please consider what I am sharing with you here to be the raw material side of recommending some recipes for your upcoming Thanksgiving feast. By raw materials, I mean that these recommendations are not recipes, strictly speaking, but I am recommending your feast this week have ample quantities of vitamins D and E. In fact, you might carry these doses over into your regular diet after this week. If you are like most folks who have been following advice on healthy eating, you already appreciate that vitamin D is very important for bone health and vitamin E is central to heart health. But what you may not have seen is that both of these also are important to brain health. Separate studies have shown that vitamin E can help to keep Alzheimer's at bay and vitamin D can lower the risk of cognitive decline. Starting with the case for vitamin E, researchers at New York State University have studied the effect of regular quantities of walnuts (rich in vitamin E) on what they termed "Alzheimer's-susceptible mice." Granted, these are animal studies, but the nutrition needs of mammals can be generalized to some extent. And their results published just this month were quite striking. The group of mice in their experiment who consumed regular doses of walnuts showed statistically significant improvement in learning, memory, motor skills and even anxiety levels over the mice who received no walnuts. 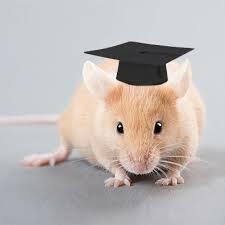 (How do they measure anxiety in mice?) No surprise that walnuts contain Omega-3 fatty acids as well as other antioxidants which have been proven in other studies to ward off cognitive decline. And then there is vitamin D. This was a study among older Italian adults rather than mice. The researchers tracked vitamin D levels of nearly 2,000 adults whose average age was 73.9 years for over four years. They found that those individuals with vitamin D deficiency or insufficiency (measured by their serum 25OHD) were more likely to have declining cognitive skills as measured by a standard test called the "Mini-Mental State Examination." This was compared to their baseline test at the outset of the study which showed all participants to begin at comparable and robust levels of mental ability. It is important to note that this second study simply noted the differences among individuals based on their blood serum levels and did not control what they ate. More testing will be needed to see if vitamin supplements can make a positive difference versus in mental capacity. And, of course, the first study was on mice, so it would be helpful to move this up to humans. And by the way, the amount humans would consume to give the equivalent dose for what the mice ate would be only about 1-1.5 ounces of walnuts daily. So, if you are a caregiver to an older loved one this holiday, these two studies may not include any recipes, per se, but they do suggest what you may wish to add to your Thanksgiving spread as well as the dinners that will follow. And you don't have to choose between these two vitamins; cover your bets by adding a bit of D and a bit of E. Charlotte Bishop is a Geriatric Care Manager and founder of Creative Care Management, certified professionals who are geriatric advocates, resources, counselors and friends to older adults and their families in metropolitan Chicago. Please email your questions to info@creativecaremanagement.com. Well, not exactly, but if you or an older loved one goes to the hospital, beware of what can happen that is not outpatient, and it is not inpatient. They call it Observation, and it may seem like your loved one has been admitted for an overnight stay, because they do get “discharged” – but in this case in just about 23 hours. Because it is NOT an inpatient stay, it has a different payment requirement and according to recent research, it seems to unfairly target poorer Medicare-eligible Americans. 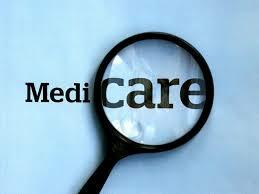 According to the longstanding rules of Medicare, patients with this coverage pay a fixed cost for an inpatient stay and that is going to cover the majority of costs incurred while in the hospital as well as follow-up nursing care and even repeat hospitalizations that occur within two months of that first visit. There are also rules for the short stay that is less than 24 hours; they call this an “observational stay.” And if you are a caregiver to an older loved one, you will want to ask for a very clear answer whenever your loved one is in the hospital. You will want to ask the registration people or the nurse on their unit if this is an observational stay or an inpatient stay. The reason you need to ask is that there are substantial cost differences. A patient under “observation” will be billed for a one time out of pocket fee along with 20 percent of any hospital services bills and the tab for any medications. If you are told that this is to be an “observational” visit, get in touch with your loved one’s physician and have them go to bat for you. The hospital makes more money on an observational visit…and it may not be warranted. There is more. The poor pay more…more often that is. In a recent study by some policy researchers published in The American Journal of Medicine, they looked at the Medicare claims data for some 132,000 hospital observations across 97 percent of all the U.S. counties. They compared the wealthiest quarter of these patients with the poorest quarter and found that the patients in the poorest quartile were 24 percent more likely than their more affluent counterparts to have three or more observational stays in a year. We would like to think that no hospitals are looking to take undue advantage of poorer patients, and there is the potential for Medicaid to offset some of the difference. It does suggest, however, that less affluent patients may not have someone who goes to bat for them, someone who will ask the right questions. So, if you are a caregiver to an older loved one, now you know to ask the right questions. And you know what the answers should be. Charlotte Bishop is a Geriatric Care Manager and founder of Creative Care Management, certified professionals who are geriatric advocates, resources, counselors and friends to older adults and their families in metropolitan Chicago. She also is the Amazon Bestseller and author of How Do I Know You: A Caregiver’s Lifesaver for Dealing with Dementia. Take care of the caregiver: The person whose needs most often are at the bottom of the list is the caregiver to an AD patient. Do something for you, and it will make it easier to do all those other things for all those other people. Be realistic: We all tend to have a notion about what the "holiday is supposed to be." That may not be feasible when a loved one has Alzheimer's, so work within the capabilities and the comfort zones of all concerned. Include everyone in the plan: If you talk over plans for the holiday with all the family, it can help all to enjoy the event. Everyone will have had a say in what happens and expectations will be better met. Avoid over-doing the alcohol: There is a great deal of loneliness in being a caregiver to a loved one in decline, so avoid the inclination to self-medicate. 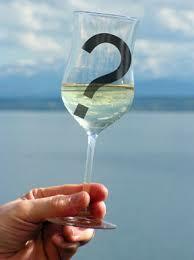 If you as a caregiver already feel melancholy, alcohol will only fuel the depression. Let visitors know: If visiting family does not know exactly what to expect from a loved one with AD, they probably will not act appropriately. Help them to understand about talking and living in the moment. Let your loved one know: For patients with early onset AD, there can be moments of lucidity as well as confusion. Help them to also be in the moment and not lapse into the sadness or even the angry outbursts that can come from AD's confusion. Manage the environment: AD can be confusing enough without exacerbating the challenge with a noisy environment. Helping your loved one to engage people in quieter surroundings can help everyone communicate better. 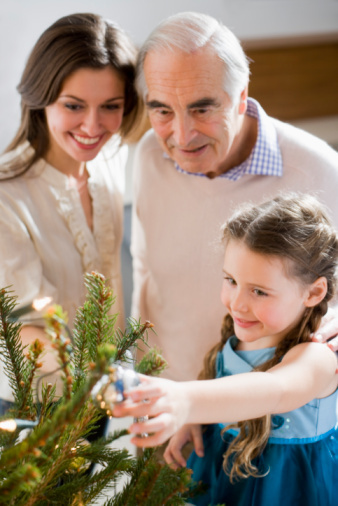 As you navigate through the holidays, appreciate that they may not be as they once were before the intrusion of Alzheimer's, but you are making new memories for you and the rest of the family. With attention to some of these tips, you will find that the new experiences will help everyone's holidays to be their own new memories to cherish. Charlotte Bishop is a Geriatric Care Manager and founder of Creative Care Management, certified professionals who are geriatric advocates, resources, counselors and friends to older adults and their families in metropolitan Chicago. Please email your questions to info@creativecaremanagement.com.